Hot News! 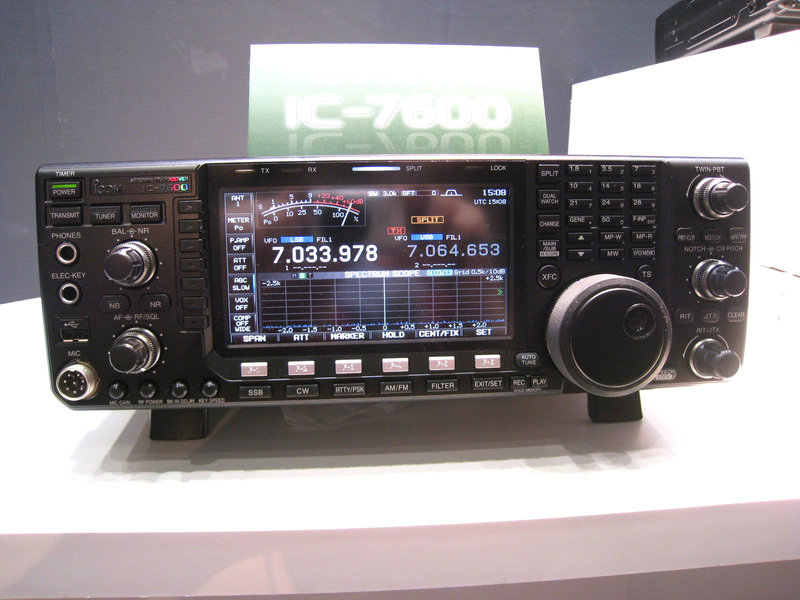 New IC-7600 V2.00 Firmware was released on 18 May 2015. Click link below. IC-7600 at Tokyo HamFair 2008. Photo: M. Myoga, JS1LQI. Once again, we are honored and excited to present a new Icom HF/6m transceiver. 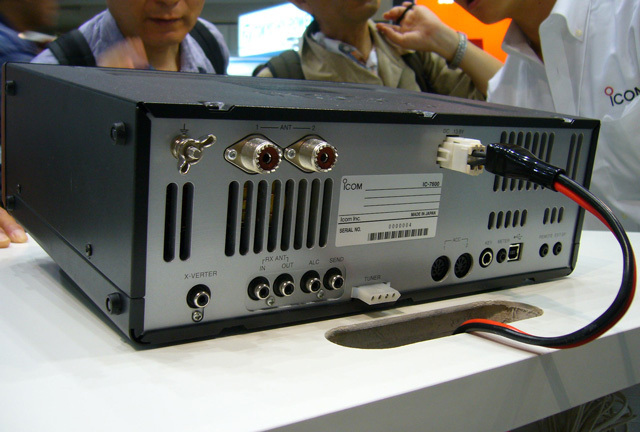 The above photo illustrates the IC-7600 as presented at Tokyo HamFair 2008. The IC-7600 is a 100W-class HF/6m HF transceiver, utilizing Icom's well-known and proven IF-DSP architecture and feature set. Note the large TFT display screen. More information will be provided here as it becomes available. The IC-7600 received FCC certification on February 9, 2009. FCC ID: AFJ307300. IC-7600 rear panel. Photo: N. Oba, JA7UDE. In the photo below, it will be noted that the elimination of the moving-coil meter has freed up sufficient front-panel space to accommodate the IC-7600's larger TFT display. 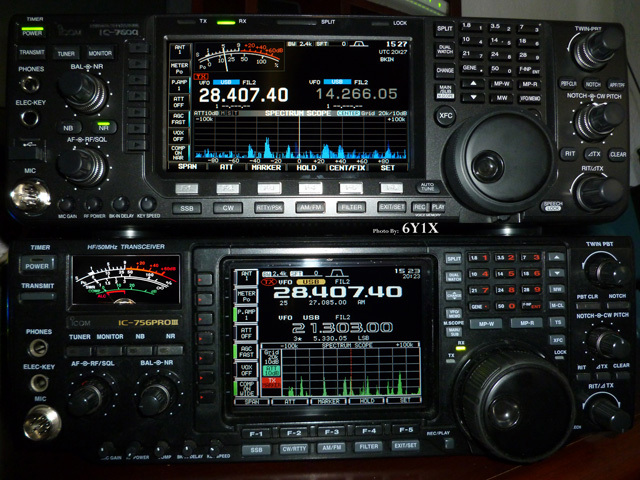 IC-7600 and IC-756Pro3 front panels compared. Photo: Robert Garth, 6Y1X. 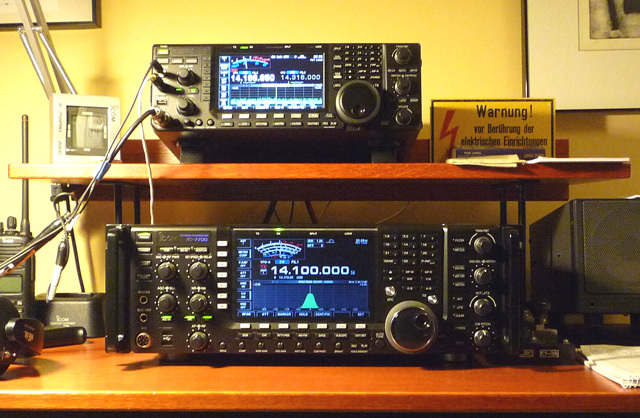 IC-7600 and IC-7700 in my station (March 2009). allowing connection of external preselectors, multicouplers etc. Text copyright © 2008-2018 A. Farson VA7OJ/AB4OJ. Image copyright rests with respective authors. All rights reserved.